A tradition of promoting from within and promoting Sam Houston State University law enforcement graduates continues with the appointment of Kevin Morris to replace Dennis Culak, who retires as university police chief effective Aug. 31. 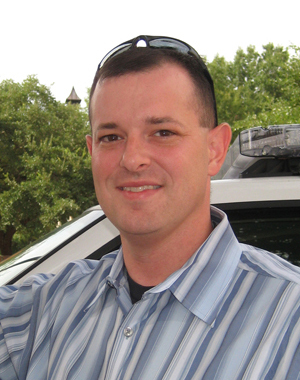 Morris has two degrees from SHSU, a bachelor’s in law enforcement/police science, which he completed in 1997, and a master’s in law enforcement leadership and management completed in 2007. He has a total of 4,565 hours of law enforcement training and was certified as a Texas Commission on Law Enforcement Officers Standards and Education instructor in May 2007. Morris began his SHSU service as a student in 1992 as a University Police Department student assistant writing parking citations. A year later he went to work full time for the department. His promotions include officer in charge/sergeant (2001), lieutenant (2002), captain (2004), and assistant director (2005). Morris said he doesn’t foresee any great changes in the department’s operation, but will not be afraid to make them if needed. “With this promotion, I look forward to continuing the level of service that the Department of Public Safety Services provides and making improvements when necessary,” he said. Morris and his wife, Cheryl, a second grade teacher in the Conroe school district, have three children. A growing family was also a factor in Culak’s decision to retire. This week he became a grandparent for the third time with the birth of twins, a boy and a girl. 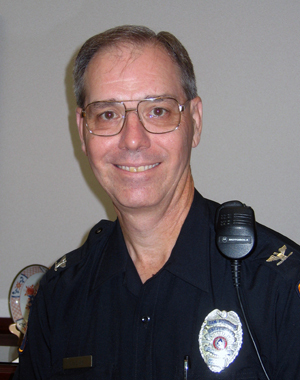 Culak earned his bachelor's and master's degrees from SHSU in 1973 and 1975 in law enforcement and police science. His promotion to chief came in June 2005 after service as intern, student assistant, police officer, sergeant, lieutenant, captain, commander, and colonel.